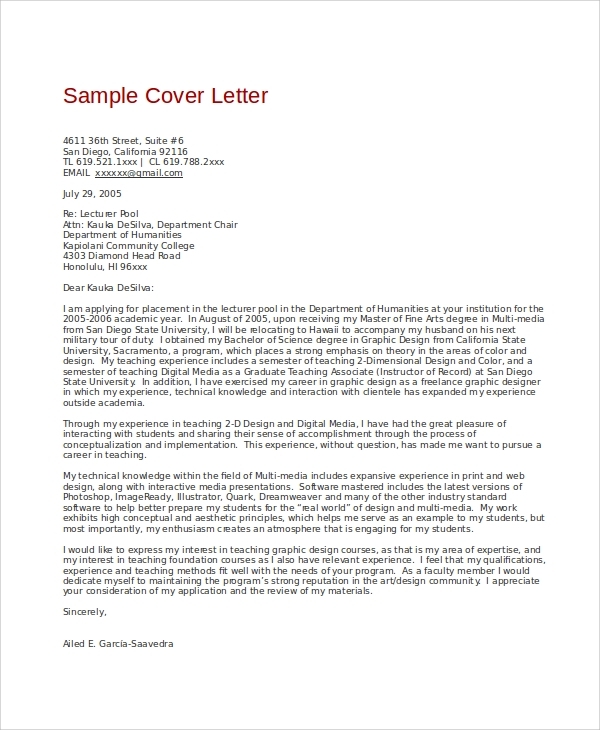 Cover letters come in various shapes and sizes, and they might be designed according to the nature of the letter and the position or rank of the addressee. 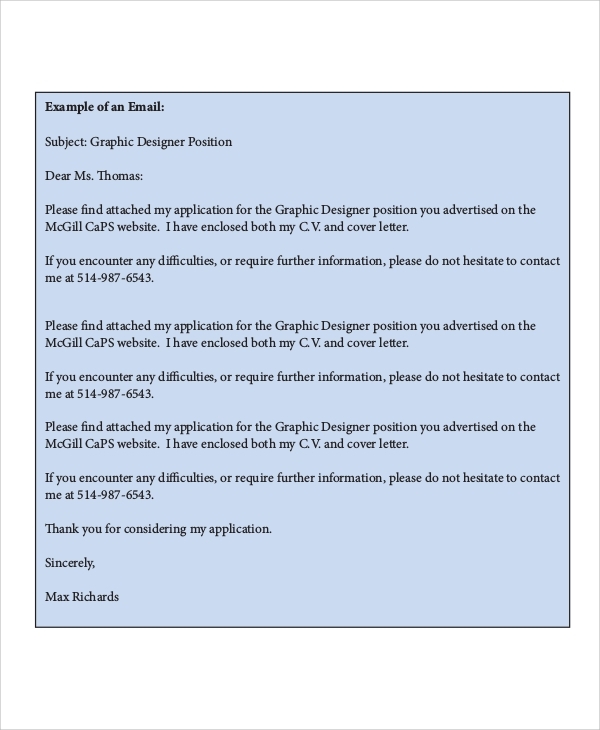 Thus, a graphic design cover letter is used to aesthetically appeal to the reader and allowing them to immerse themselves into the contents of the cover letter so that they would be able to have a look at the job application. Here is a list of Sample Cover Letters. 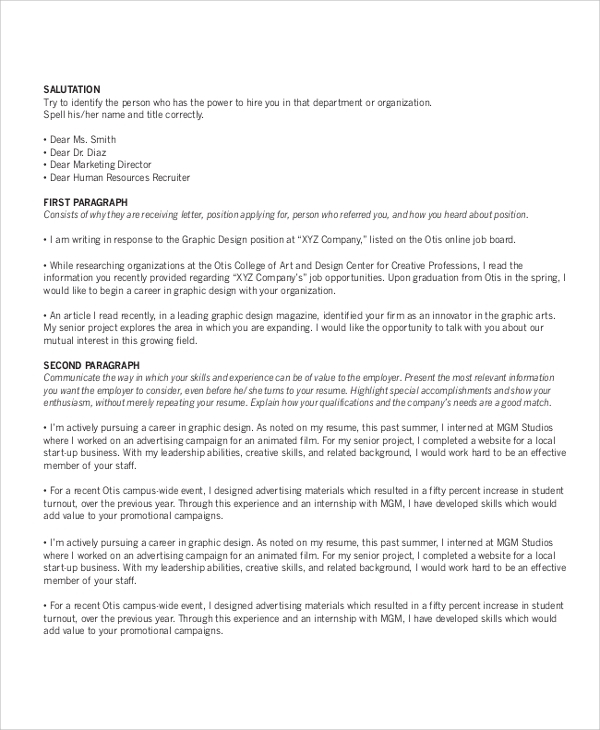 A graphic Cover Letter Examples for a fresher should be simple and not too ornamented in appearance, indicating the applicant’s new entry into the world of employment, the un-adornment should reflect this. When an applicant applies for an internship, their cover letter may or may not have some design that would accompany the contents of the cover letter that’s sent. When an applicant is experienced in a particular field of work and they wish to apply for a job in their field of experience, they may embellish some portions of the cover letter. Cover letters are an important component when it comes to formatting an excellent job application, and it is useful to design them as much as possible to attract the attention of the recruiter to make them go through it. 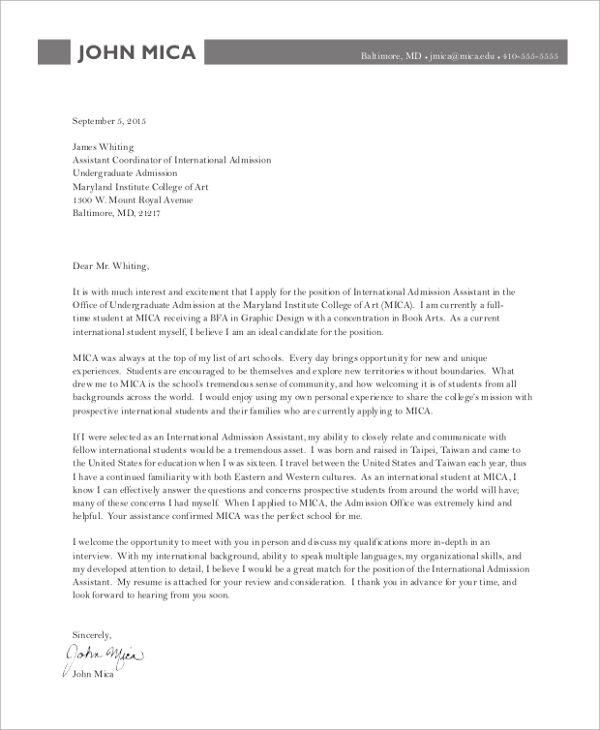 Since, Cover Letter Samples are a formal document written in a formal tone, it is important to understand how much of it should be ornamented with designs and how much of the text should be adorned with italics and boldness, depending on factors such as emphasis and importance. Thus, while writing a good cover letter is important, making it look good is also equally useful. 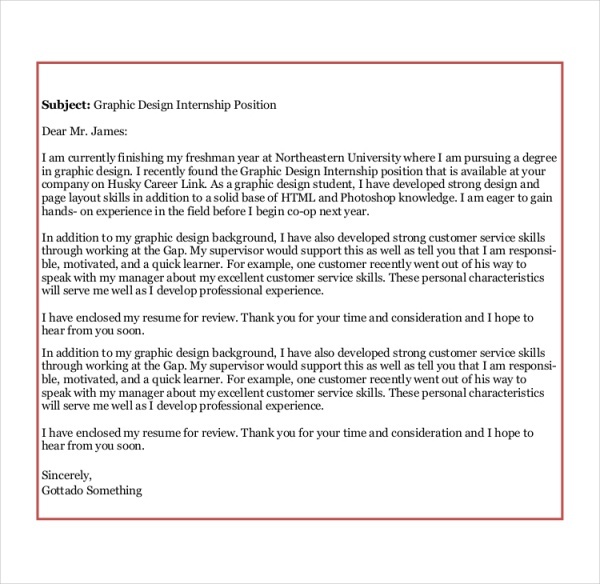 When a cover letter is sent over through the means of internet via an email, the only way to decorate it would include attaching graphics or embellishing the text itself. When a freelancer wants to offer their services to a particular organization, they should ensure that the cover letter they would be sending should be designed to attract attention to it. 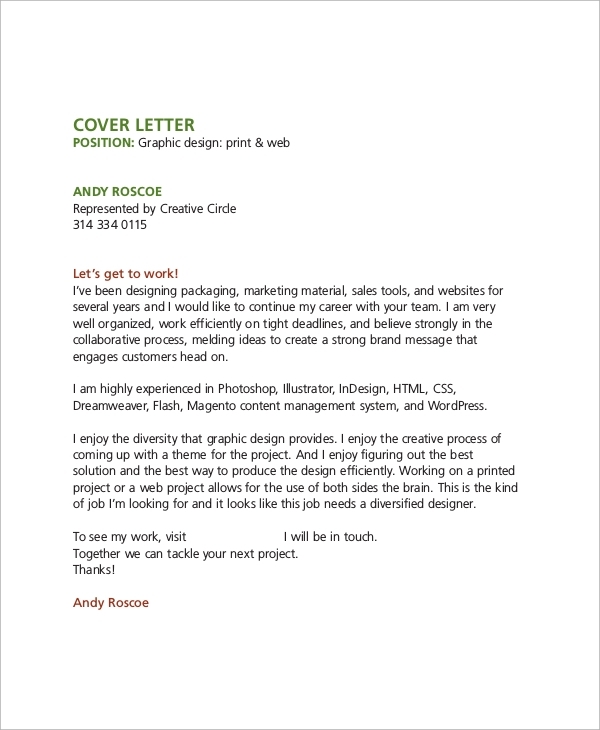 You may also see the Best Cover Letter Examples. 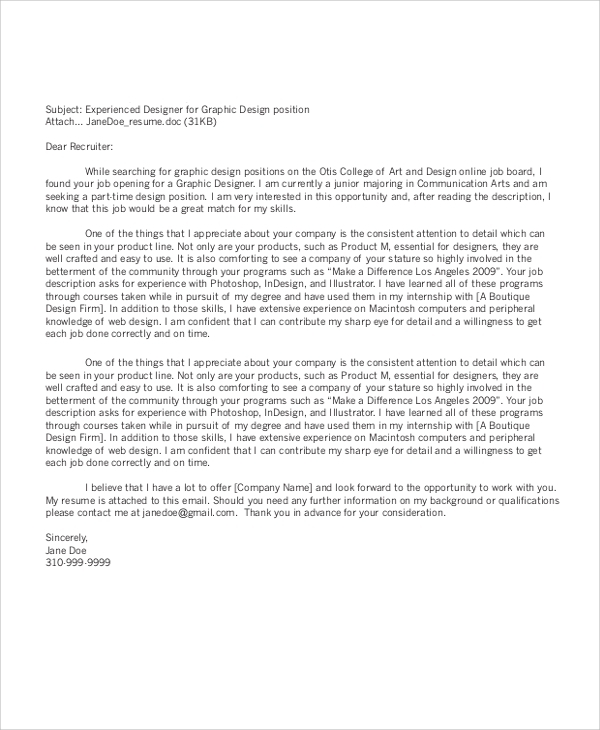 If you are an applicant who is looking for a job, then these sample graphic design cover letters are for you. The most important step for being successfully recruited is to catch the recruiter’s attention towards your application and creating a favorable first impression in their minds. And for that, it becomes necessary to know how well you should be able to design and embellish the cover letter you are going to send. As much as the content, the design and aesthetics of the Cover Letter equally matter as far as impressing the recruiter is concerned. 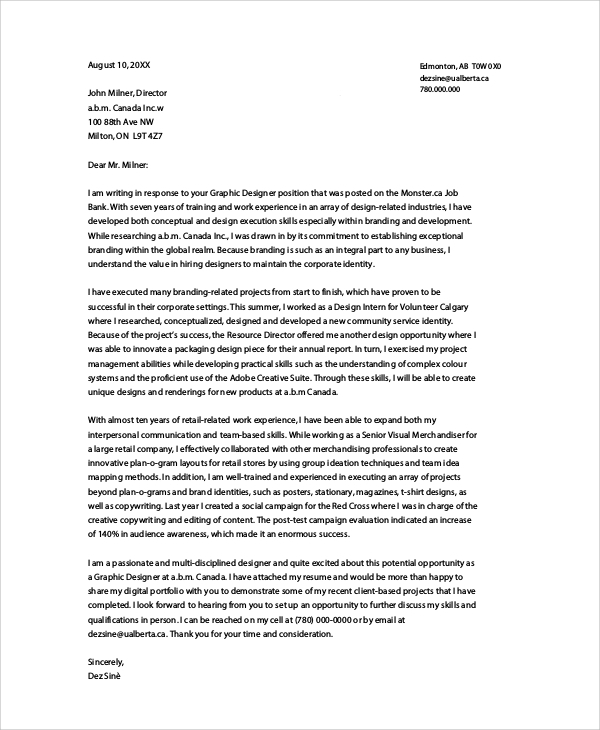 A good cover letter thus should look attractive. We have a wide variety of sample Graphic Design Resume cover letters for you to choose from. The templates are completely editable, so you can edit and insert in all the relevant information you want to provide in the template, allowing you to use it as your original cover letter.